I’ve been writing about the ethics of human enhancement for some time. In the process, I’ve looked at many of the fascinating ethical and philosophical issues that are raised by the use of enhancing drugs. But throughout all this writing, there is one topic that I have studiously avoided. This is surprising given that, in many ways, it is the most fundamental topic of all: do the alleged cognitive enhancing drugs actually work? One reason for avoiding this topic is that philosophers like to pursue hypotheticals: to imagine possible worlds and trace out their logical implications. And this can be all well and good, but as I have written elsewhere, there is a danger that it leads one to commit the “vice of in-principlism”. That is: the vice of talking about enhancement purely in terms of “well if, in principle, cognitive enhancing drugs worked, then the following would be true…”. This is a vice because there are many real-world substances that are alleged to have an enhancing effect. And it’s important that in all our philosophising we don’t ignore the real-world. So, anyway, to make up for my historical failure, I am going to try to answer the question now. I do so by summarising three studies on the effects of cognitive enhancing drugs. Two of these are systematic reviews (one including a meta-analysis) of the available experimental literature, the other is a “phenomenological study” that I happen to find interesting. 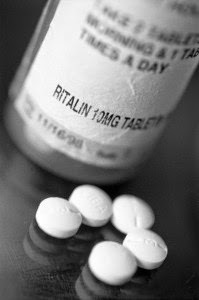 The studies focus on three drugs (or drug types) — Adderall (a mix of amphetamines and dextroamphetamines); Ritalin (methylphenidate) and Provigil (modafinil) — all of which are alleged to have enhancing effects, and are frequently used by students to improve their educational performance. Are all these students wasting their time? Let’s see. The first study I am going to look at is a systematic review and meta-analysis by Dimitris Repantis and his colleagues. Their analysis was concerned solely with the cognitive enhancing effects of methylphenidate and modafinil. The authors found 46 studies on methyphenidate and 45 on modafinil that met their inclusion criteria. All of these studies were reviewed, but some did not have sufficient data to be extracted for their statistical analyses. Their review focused on a variety of enhancing effects, specifically on: (a) mood; (b) motivation; c) wakefulness; (d) attention and vigilance; (e) memory and learning; and (f) executive functions and information processing. It also focused on different kinds of experimental trial and different classes of experimental subject. In the first instance, the focus was on healthy individuals, i.e. not individuals who were taking these drugs for some illness or disorder (e.g. ADHD). These individuals were then divided-up into two further subclasses — non-sleep deprived and sleep-deprived. The reviewers looked at the effects on such individuals in two scenarios: (i) single-dose trials — in which the experimental subjects were given a single dose of the relevant drug; and (ii) repeated-dose trials — in which the experimental subjects were given more than one dose over a period of time. Single Dose Trials (Non-sleep deprived): A single dose of methlyphenidate had a strong enhancing effect in relation to one outcome only: memory. No statistically significant effect was found in relation to attention, mood and executive function. A lack of appropriate baseline measures made it impossible to derive a statistical conclusion in relation to the effect on wakefulness. Only one study looked at the effects on motivation and found some subjectively-reported improvement in willingness to engage in mathematical tasks. Repeated Dose Trials (Non-sleep deprived): Only two of the included studies looked at repeated usage. Consequently, no statistical analysis could be performed. One of these studies actually looked at two drugs and so the effect of methylphenidate was difficult to determine. The other study involved six weeks of usage by elderly healthy individuals and found some positive effect in relation to fatigue, but nothing in relation to the other parameters of enhancement. Trials in Sleep-Deprived Individuals: Five of the included studies involved sleep-deprived individuals, two of them involved repeated doses. This wasn’t sufficient to perform a statistical analysis. Still, the results of the studies are interesting. No cognitive enhancing effect was found for single-dosage after one night of sleep deprivation, and in fact it was found that use of the drug may give rise to an overconfidence effect. No positive effects of repeated dosage were found for wakefulness in cases of long-term sleep deprivation (greater than 36 hours) and minimal effects were found in short-term cases (around 4 hours). The authors conclude that no firm conclusion can be reached about the enhancing effect of methylphenidate at this stage (remember, they were writing in 2010), though they accept that there may be some positive effect in relation to memory. They also note that the popular belief that methylphenidate enhances attention is not confirmed by the meta-analysis. Single Dose Trials (Non-sleep deprived): A positive effect was found in relation to attention and wakefulness for single-dose trials (the latter is not particularly surprising given how modafinil works), though a negative result for wakefulness was also found the further away (in time) from the drug administration. In other words, modafinil may keep you awake for longer, but it may make you more tired at a later point in time. No significant effect was found in relation to mood, memory and motivation. And no analysis could be performed in relation to executive functioning. Repeated Dose Trials (Non-sleep deprived): Only two of the included studies involved repeated drug administrations. The first found no effect on attentional tasks after an evening and morning administration. The second involved administrations over the course of three days and found both a positive and negative effect on mood (i.e. it made people happier, but also more anxious). Single Dose Trials (Sleep-deprived): Statistical analysis found a strong-to-moderate positive effect of modafinil in relation to executive function, memory and wakefulness in sleep-deprived individuals. The effect generally declined the longer the period of deprivation continued. No effects were found in relation to mood and attention, and none of the studies looked at motivation. Repeated Dose Trials (Sleep-deprived): Statistical analysis suggested a strong positive effect of repeated drug administrations on wakefulness (again, not hugely surprising), but no effect in relation to executive functioning and attention. None of the included studies looked at memory, mood or motivation. The authors conclude that there is evidence of an enhancing effect for modafinil, primarily on attention in non-sleep deprived individuals, and on wakefulness, executive function and memory in sleep deprived individuals. They caution that, with the exception of wakefulness, these positive effects do not seem to be sustained in the long-term (i.e. across repeated drug administrations), and, furthermore, that modafinil may also give rise to an overconfidence effect in sleep-deprived individuals. This is important insofar as modafinil is often touted for use among sleep-deprived professionals, e.g. doctors. 2. Smith and Farah 2011: Are Prescription Stimulants Smart Pills? The next study I am going to look at is by Elizabeth Smith and Martha Farah. Again, this one is a systematic review of the literature. It is concerned with two major issues: (i) how many people are using these drugs? and (ii) do they actually work? I’ll only be looking at the latter issue in this summary. Smith and Farah’s review focused on two drug types: methylphenidates (Ritalin) and dextroamphetamines (by itself or in Adderall). They were concerned with alleged enhancing effects on healthy adults, and they reviewed placebo-controlled trials involving oral administration of the relevant drugs. They divided the available literature into four groups, each concerned with the effects of these drugs on different cognitive processes: (i) memory and learning; (ii) working memory; (iii) cognitive control; and (iv) other executive functions. Memory and Learning: The authors looked at 22 studies on the effects of methylphenidate and d-AMP on learning and memory. The studies covered 24 different tasks, some involving declarative memory (i.e. recall of facts), others involving non-declarative (procedural) memory (i.e. skills). They found some weak-to-strong evidence for an enhancing effect on declarative memory tasks, with that effect more pronounced over the long-term. Indeed, many studies suggest that these drugs have little-to-no effect in the short term, but significant effects in the long-term. The findings in relation to non-declarative memory tasks were more mixed, though more inclined to be positive for methlyphenidate than for d-AMP. Working Memory: Working memory is like the brain’s “scratch pad” – a space in which various bits of information can be kept “online” while performing a given cognitive task. The authors looked at 23 studies on this, involving 27 different tasks. The results are far too complex to summarise fairly because they vary depending on the task the experimental subjects were asked to perform. But in general, the studies are mixed, with some showing positive effects, some showing no effect, and none showing a negative effect. The suggestion from the studies seems to be that the enhancing effect is greater on those who are less able to perform the given tasks in the first place. Cognitive Control: Cognitive control is, in essence, the ability to override and control the brain’s more automatic, learned responses. The authors looked at 13 studies involving 16 control tasks. Again, the results are complex, but overall there were more null results than positive ones, and one finding of impairment. Careful analysis of the results once again suggests that the positive effects are greatest for those who have poor cognitive control in the first place. Other Executive Functions: This is just a catch-all for other possible enhancing effects covered by the available studies. The authors looked at five such studies, covering a eight different tasks, including verbal fluency and grammatical reasoning, as well as Raven’s Progressive Matrices and variants on the Towers of London task. Overall, there were only two positive results, but the small number of tests makes it difficult to draw any firm conclusions. So what is the upshot of all this? Once again there seems to some reasonable evidence for a positive effect on long-term memory recall, and some indication that these drugs work better for people with weaker cognitive performance. Still, the authors are cautious. Over a third of the studies reviewed showed no enhancing effect, and there is the danger that negative results are not being published (due to publication bias). 3. Vrecko 2013: Just how “cognitive” is cognitive enhancement? The final study I want to look at is a bit different from the preceding two. It is not a systematic review. It is a single study, conducted on 24 students at an unnamed, elite university on the East Coast of the United States. The study is interesting to me because it focuses exclusively on what the students taking these drugs think it does to their ability to study (and engage in other types of academic work), and because it argues that the emotional effects of these drugs may be just as important (if not more important) than the cognitive effects. (I would, however, note that disentangling the emotional from the cognitive can be a tricky business). I think the most valuable part of this study is the quotations it provides from actual student users, and I want to share some of those quotes here. Before I do that, I need to share something of Vrecko’s analytical framework. Using fairly standard methodological protocols, Vrecko noted that his interviewees’ responses suggested that drugs such as Adderall, Ritalin and Modafinil had four mood-enhancing effects. I’ll cover all four here, and include student quotes that illustrate them along the way. Everything seems better, and more doable. Sometimes, a lot of the time actually, I’ll feel kind of, it’s hard to do anything. When I’m walking to the library I’ll think, if I didn’t have it [Adderall], there’s no way I’d get anything done. I’d just sit there in front of my computer, and be not doing anything. I didn’t want to stop what I was doing until it was completed up to a certain level of my satisfaction. So I wouldn’t ever have to do something and just be, oh, I’m tired, I’ll finish it in the morning. I would just finish it. Another positive effect of this was an increased ability to avoid distractions like e-mail, facebook and chatting with friends in the library. I had this paper to write, for a class on art and Romanticism— pretty much the most boring topic I can imagine. Even just finding books in the library annoyed me, like, “why in the hell am I doing this?” But when I started reading [after having taken 20 mg of Adderall], I remember getting just completely absorbed in one book, and then another, and as I was writing I was making connections between them … And I was like, this is really cool, actually enjoying the process of putting ideas together. I hadn’t had that before. In summary, Vrecko’s study is an interesting one. It suggests that one of the main effects of these so-called cognitive enhancing drugs may not be on cognition as such, but, rather, on removing the psychological barriers to doing cognitive work. The study is, however, a small one. The sample of students being interviewed may not be representative (e.g. they may be the “weaker” students who, based on the studies discussed above, seem to get the most positive effect). And there is no placebo control: it’s possible that the drugs themselves are little more than a psychological crutch for the students in question. Let’s now return to the opening question: do the alleged cognitive-enhancing drugs actually work? It’s a difficult question to answer in the abstract. We would need to specify the drug we are interested in and what it would mean for it to “work”. Still, at a general level, I’m slightly more persuaded of their enhancing effects than I was before I read these studies. That may, however, be attributable to my hyper-scepticism prior to doing so. For me, there are four big takeaways from these studies. This first is that methyphenidate (in particular) seems to have a decent enhancing effect on memory over the long-term. The second is that modafinil seems to have a decent enhancing effect on attention for single doses but not for repeated doses. The third is that the extent of the enhancing effect is likely to greater for those who struggle more in any given cognitive task. And the fourth is that, for students who persist in using them, the major benefit of these drugs may simply be their ability to remove the psychological barriers to getting things done. This blog post originally appeared here. Republished under Creative Commons License.